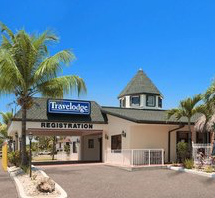 BY FAR, THE BEST VALUE AND SERVICE FOR LODGING NEAR OUR LOCATION IS AT THE TRAVELODGE IN FLORIDA CITY. Just a quick 5 minute drive to our meet up place, this trip advisor top rated property has incredible rates and fantastic staff. While their online rates are fantastic, use the chat box below to contact me with your check in/check out dates or text me at 305-393-3223 and I can usually get an even better price for you. Don't overpay! Get a comfortable, satisfying stay for the right price. Comfortable rooms, hot breakfast and a great pool. Who could ask for more? This is another fantastic property located just minutes from our meet up location. Beautiful pool, clean and comfortable rooms and a rate that won't break the bank. Save your money for more adventures!